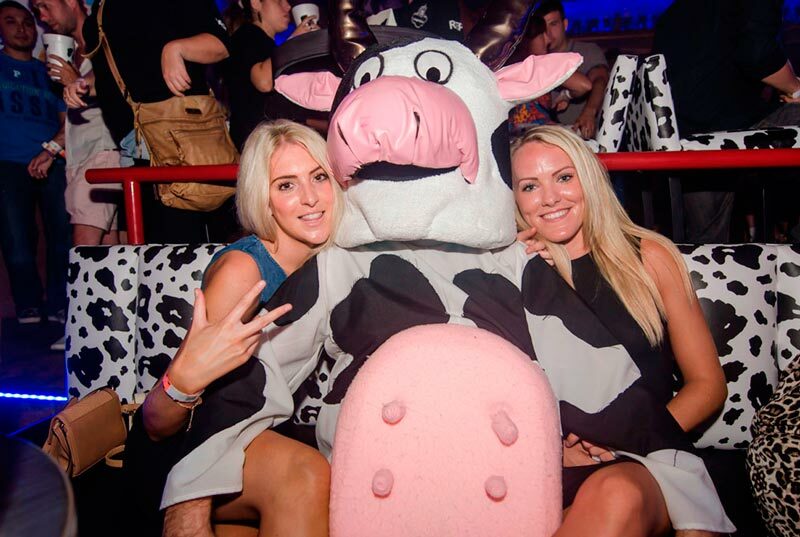 Looking for a place to party in Cancun? 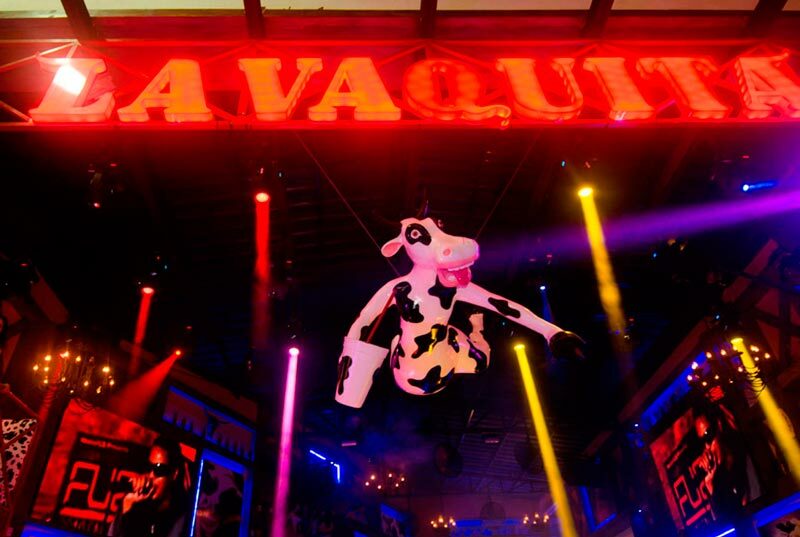 Right in the heart of Cancun Hotel Zone, La Vaquita nightclub is one of the wildest settings of Cancun nightlife. Both entance and Open Bar for the same price. 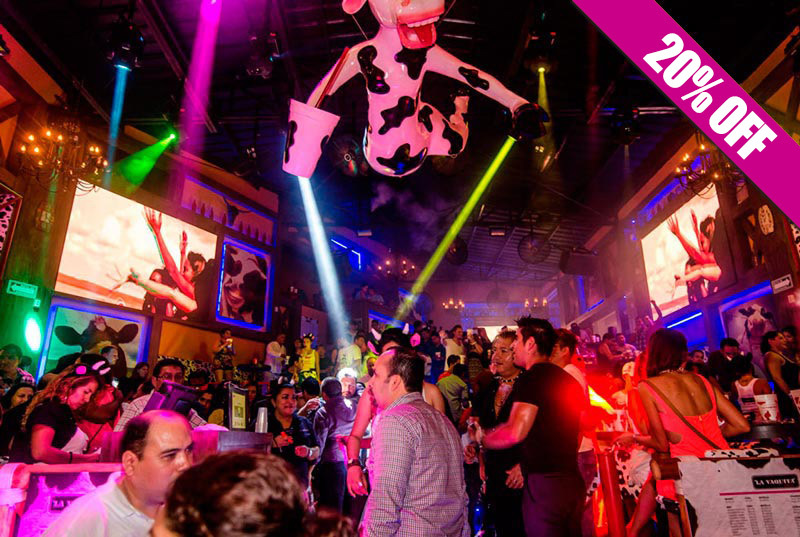 Do not miss the party, book now! 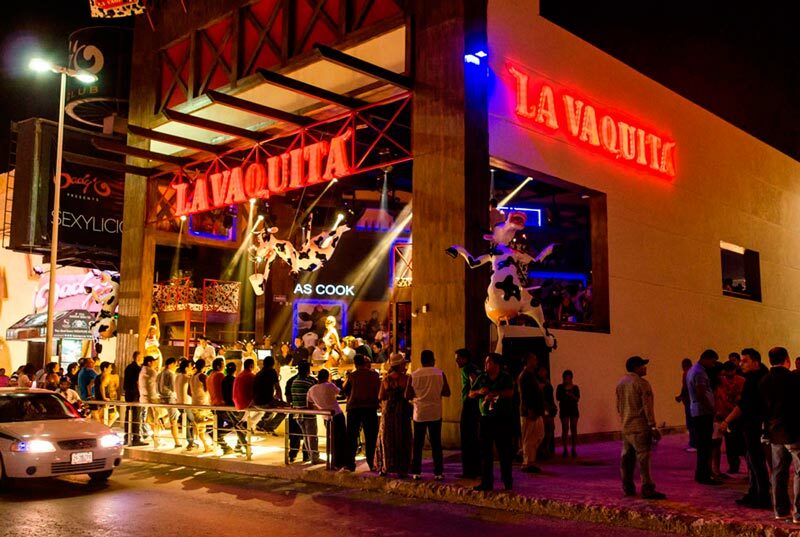 Get fast entry, reserved table and open bar in La Vaquita Nightclub Cancun. Get your favourite drink served in 1 litter cup with no extra cost. 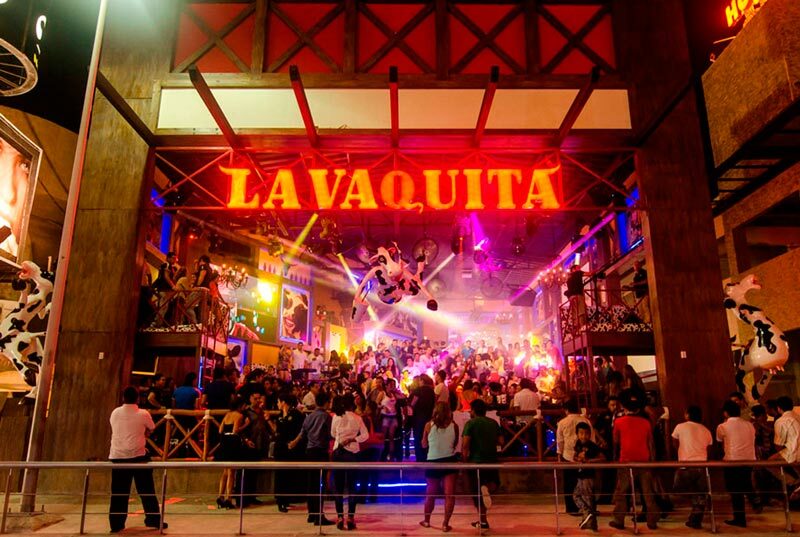 Only nightclub in Cancun with a different selection of music (hip hop, reggaeton, latin & latest hits). MC & Go-Go Dancers daily. A unique, original, quirky and fun concept with excellent service. Get VIP attention booking your tickets with us. ¡Don't think, book now! Open bar, where drinks are served on 1 liter glasses from 22:30 - 03:00 hrs. (rum, vodka, tequila, whiskey, beer, soft drinks, juices, water and cocktails). In case of special event / concert, the customer must pay a $ 10 USD up-grade.